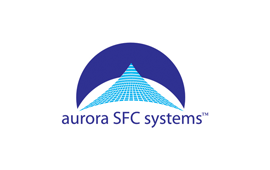 Aurora SFC Systems provides scientific chromatography instruments based on next-generation Supercritical Fluid Chromatography (SFC) technology. Aurora is developing CO2-based chromatography instruments. Its new approach to Super Fluid Chromatography is based on a single module that converts a High Performance Liquid Chromatography system into an analytical SFC system. Aurora is led by a dedicated team of SFC experts who have contributed fundamental improvements in the technology of analytical and preparative SFC since 1985.